We’ve compiled a definitive list of the spirits brands – whether sweet and sticky or warm and spicy – that provide the essence of Christmas for any retailer’s range at this time of year. The chart is based on the proportion of total annual value sales that each brand achieves in the weeks immediately leading up to Christmas. Despite Warninks being streets ahead at number one in our line-up using this measurement, IRI Business Insights, whose data the chart is based on, says that Baileys is the must-stock of all must-stock spirits brands at this time of year. Toby Magill, head of BWS at IRI, says: “If off-licences have to only back one spirit this Christmas it should be Baileys. “While only 43% of sales go through in the Christmas period, in actual value it outsells its nearest competitor by nearly four to one. The Snowball is the quintessential Christmas cocktail, advocaat its key active ingredient and Warninks the default brand in the UK market. Add this up and Warninks becomes the most Christmassy of all Christmas spirits, with three out of four bottles sold annually going into shopping baskets in the festive period. No other product comes close in the battle to be the ultimate Christmas drinks brand. This year promises to be bigger still with the arrival of Warninks White, a white chocolate and mint variety. The biggest selling brand overall in our top 10 is also near the top of the Christmas tree, spurred on by heavyweight marketing support and favoured positions in retailers’ festive price promotions. This year’s activity will be bolstered by the giving away of 1 million product samples to consumers. Last year saw the release of the Belgian confectionery-inspired Chocolat Luxe which captured imaginations and chalked up total sales equal to or better than several established rival brands. The raspberry liqueur with the Cognac base is one of the smallest selling brands in the off-trade in our top 10 but among the fastest-growing, with sales up almost a half over the past year. Its summer Because No Reason TV campaign is returning pre-Christmas as the brand tries to persuade people to pair it with a certain other well-known drink starting with “Cham” in a Kir Imperial cocktail. 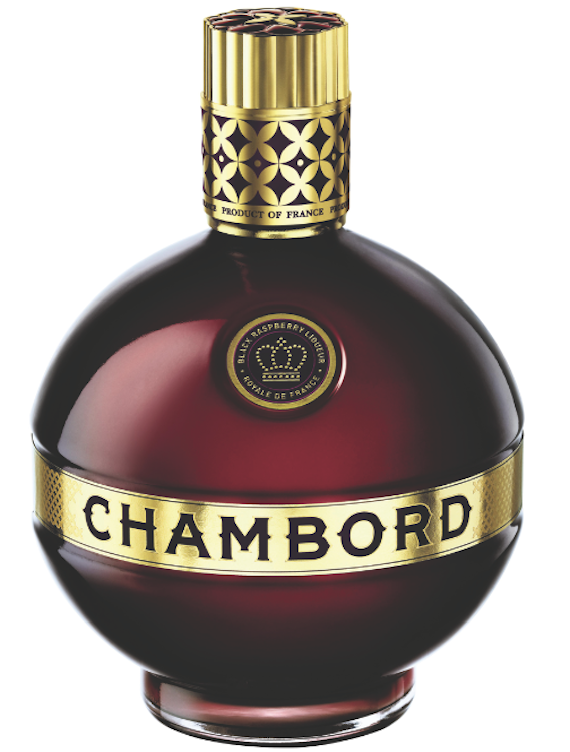 Loved by bartenders, Chambord is equally at home in bespoke versions of the Margarita, Daiquiri or Manhattan. US whiskey has been mining the same richly successful seam as flavoured vodka with some success in the past couple of years – and honey has been the favoured taste extension, both for the Jack Daniel’s brand leader and its biggest American rival, Jim Beam. JD supplier Bacardi Brown-Forman says its honey version has been successful in drawing non-whiskey consumers who favour white spirit-based cocktails into the category – and the festive season clearly proved to be a time for them to experiment. Glenmorangie’s sponsorship of the Open golf doesn’t make any attempt to hide the traditional whisky-drinking make-up of its target audience. But the LVMH- owned single malt has also embraced the modern world with its – and it was claimed the world’s – first crowd-sourced whisky in the form of Taghta. Whisky fans were invited to vote on the whisky itself, the name, the packaging, the photography to go in its image library and even the venue for the launch party. 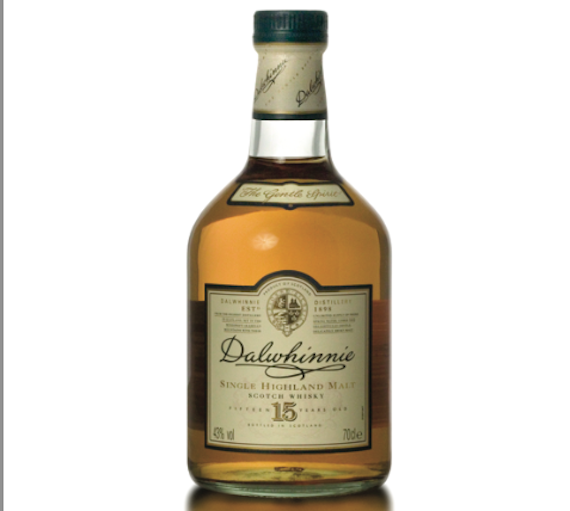 It’s perhaps appropriate that the warming qualities of this Diageo Classic Malt are most eagerly enjoyed in the depths of winter – the village from which it takes its name is reputed to be one of the coldest in the UK, based on average annual temperatures. The Dalwhinnie brand over-indexes even more on off-trade volume sales than it does on value, with more than 40% of the 100,000-plus litres it sold last year going through in the six-week period covered by the data survey. Several supermarket chains have begun to make a feature of cocktail-related brands in their stores and the party season is the time they really come into their own. Both in sales and depth of range, Dutch brand De Kuyper is the biggest player in specialist cocktail liqueurs in the UK off-trade. Its range of 43 products has been given a packaging overhaul this year in a bid to make the bottles stand out both individually and together as a portfolio as December approaches. 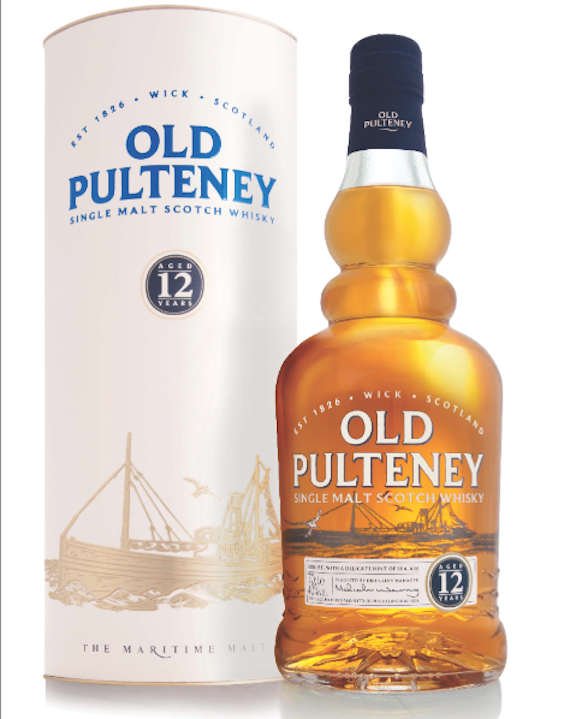 The International Beverage-owned single malt has crept quietly into the top brands in its category over recent years, as well as being acclaimed as world whisky of the year in Jim Murray’s Whisky Bible. The brand’s involvement in the Clipper 2013-14 round the world yacht race reflects its reputation as the “maritime malt”, an epithet that dates back to its creation during the 19th-century herring boom in its home town of Wick, where the distillery is one of the most northerly on the Scottish mainland. Paul Émile Rémy Martin chose the centaur as the Cognac’s emblem back in 1870 because he was born under the star sign of Sagittarius – the horse-hoofed archer – which runs from late November to late December. For astrologers at least then, it should come as little surprise that the brand stars in the immediate pre-Christmas period. The VSOP mark – which for Rémy is the core product in the range – chalks up four out of 10 of its annual bottle sales in the off-trade at that time. A promotion with Babyliss hair straighteners, advertising in women’s magazines including Grazia and Elle, and pop-up events hosted by Radio 1 presenter and former fashion stylist Gemma Cairney leave no doubt about where Tia Maria is aiming its sales pitch in the festive period ahead. The rum-based coffee liqueur comes into its own during the party season, which offers plenty of opportunities to demonstrate its versatility as an ingredient in a variety of cocktails. It’s been a landmark year for the whisky liqueur after the MacKinnon family decided to sell to William Grant. Legend has it that the previous significant handing down of the recipe was from Bonnie Prince Charlie. Malt whisky, tangerines, cinnamon, almonds and honey could almost be a Christmas cake- making shopping list, but it’s also the ingredient bill for a liqueur created by wine merchant Ronald Morrison in 1947. 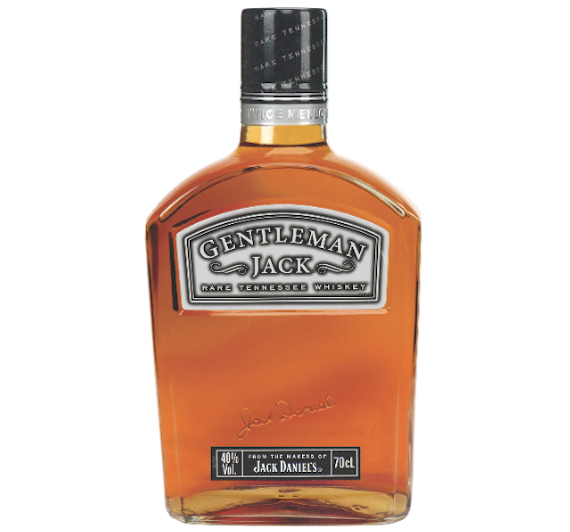 The American whiskey’s premium expression has seen sales rise by almost half during this year and Jack Daniel’s reports success in its aim for Gentleman Jack to retain consumers as their tastes mature into and past their 30s. As the best-known global triple sec, the cocktail boom has played into the hands of Cointreau, a brand which carved out a place in drinks history by producing the first film commercial way back in 1899. The Italian brand aims to brings a stylish swagger to the amaretto category and is buoyed this Christmas by a limited-edition bottle designed in partnership with Versace following a similar link-up with Moschino last year. Diageo’s Classic Malts provides a second entrant in the chart, underlining the power of single malt whisky as a gift purchase at Christmas. Talisker has a distinct personality in the world of single malt as the only distillery on Skye. A distillery manager used to serenade Aberlour barrels with bagpipes, so it was no surprise to find a musician helping Aberlour last Christmas, a partnership for the first photography exhibition of Ted Dwayne, of Mumford & Sons. The lead single malt in the Pernod Ricard stable is this year paying homage to its founder George Smith and its claimed status as “the single malt that started it all” with an 1824 gift pack featuring two tasting glasses. At the last count, there were 638,510 members of Islay distillery’s Friends of Laphroaig club. Between them, the UK contingent contributed to sales of 206,998 bottles, of which 70,404 were in the pre-Christmas run-in. The iconic animations for Famous Grouse have been a Christmas ad tradition for longer than John Lewis, and some of that seems to rub off on one of the brand’s offshoot blends, which turns up the smoky notes of Islay. So far in our Hot List series we’ve asked industry experts to tell us which brands are causing the most excitement in particular categories. With no experts on Christmas drinks to call on, we took a different tack, looking at the evidence of off-trade sales data to provide a guide to stocking decisions. IRI supplied data for the off-trade spirits market in 2013. We looked at the value sales figure for the year and the sales for the six weeks leading up to December 28 and combined the two to put together a top 20. The brand that shifted the highest percentage of its annual sales in the six-week Christmas period is at number one, the next at number two and so on. All annual figures are value sales for the full year for 2013 and pre-Christmas sales are the six weeks leading up to December 28. Only brands selling £3m or more annually were included.